Business can be intense but it doesn’t have to be stressful, especially when you’re travelling. Some people have a hard time adjusting to travel and being away from familiar surroundings. A business trip is a time when you need to be on your game versus feeling out of the ordinary. Here’s how to dodge stress and stay focused when travelling for business. Get plenty of rest leading up to your travel day. Travelling is going to take a toll on anyone, but you can reduce the amount of stress felt by getting rest. It will help you be more resilient to the aches of travel and associated time changes. Plan on getting enough sleep while travelling too. That might mean cutting your personal time short to stay fresh for the business morning. You’re going to need a suit for a meeting, so wear it on the plane or make it a part of your carry-on luggage. That goes for any essentials related to your trip – smartphone charger, laptop computer, business shoes, etc. In a worst-case scenario, your luggage gets sent to a different location and won’t get to you in time for your business meeting. 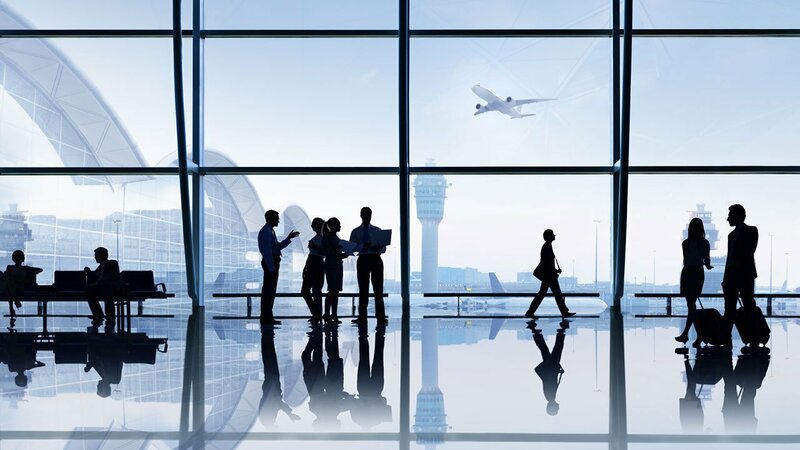 You may have zero trouble getting to your hotel from the airport, but don’t wait until the day of your business meeting to map-out how to get to where you need to go. Some prefer to forego renting a car and rely on public transportation, such as Uber, to get to and from business meetings. Be on-time or a bit early for all business-related meetings. When travelling, you touch things (doorknobs, cafe counters, paper money, etc) that attract germs and can make you sick. Wash your hands throughout the trip and bring along a bottle of sanitizer to reduce the chance of attracting germs from public areas. Most phones have a voice record function, but a tape recorder can be a handy device to house business ideas that come to mind at inopportune times. Also, it could be a useful tool during your business meeting. When you return to your Renaissance Washington DC downtown hotel you can listen again to the meeting so you don’t miss vital information or thoughts of the business partner. You could use an online rating site like Yelp to get the scoop on local places to eat and relax, so you don’t have to stress about finding preferable places. Or, leverage a social platform like Twitter, using a hashtag related to a city, to see if anyone has suggestions as to where to go for a business lunch, after work drink, etc. Some are handy with an iron, a staple found in most hotel rooms. However, if you’re worried about your appearance, bring a handheld clothes steamer so your business clothes look great. Otherwise, wrinkles could cause a misstep in your confidence and business momentum.